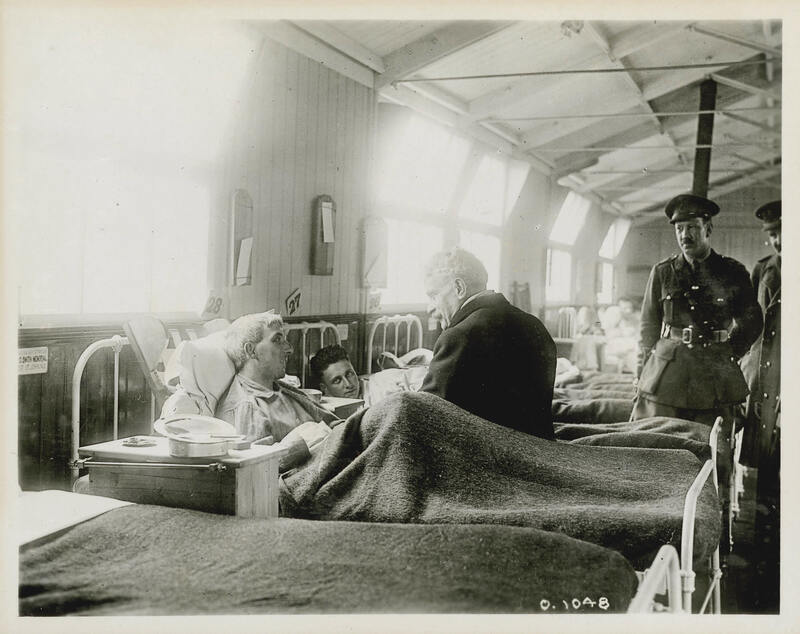 In this May 1917 photograph, Prime Minister Sir Robert Borden sits and chats with wounded soldiers at a base hospital in France. Following this visit to the Western Front, Borden saw first-hand evidence of the shortage of soldiers and the need for reinforcements in order to keep from sending wounded soldiers back into the line. With voluntary recruitment almost at an end, Borden believed the only viable option was conscription of men for service. Two days after returning to Canada, on 18 May, he announced to the House of Commons the government's decision to maintain the army's strength "by compulsory military enlistment on a selective basis."